It was a bit like a first day at school. Everyone else was swanning around drinking coffee, chatting, seemingly comfortable in their surroundings. I was desperately trying to decipher buildings, room numbers, my personal timetable which could have been the Dead Sea Scrolls for all the sense that I could make of it. 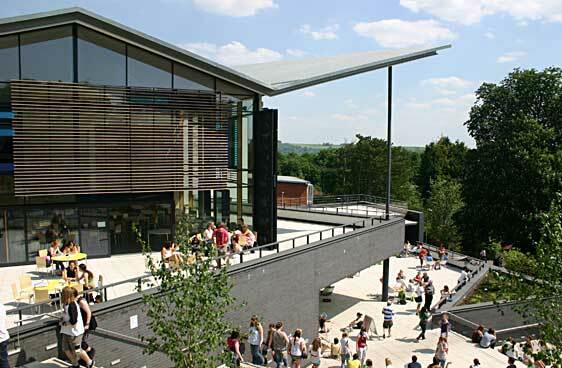 The Winchester Writers’ Conference, now in its 33rd year, is a huge affair. Veterans of these affairs reckon that it is now the largest and most influential in Britain. I was very happy to be there despite my disorientation. So what were my impressions and what, if anything, did I take away from it? These are the real nuts and bolts of the Conference. Hours of lectures, written exercises and group discussion on various aspects of writing. Now, I have never formally studied creative writing for a nano second. I was apprehensive that everything would be way over my head and that I’d end up wearing a dunce’s hat. But (apart from forgetting to bring a pen to a writers’ conference :-() that was far from the case. ‘How To Build Suspense’ and ‘A Practical Approach to Writing’ flew by and I found it all sinking in. It was all new to me and I found that I absorbed much more in this classroom situation than I ever do reading it in books and on blogs. How much better a writer could I be if I could put all of what was covered into practice. I’ve never thought about most of the stuff that was covered, I just sort of….write. Nevertheless I found that I was able to contribute as well – indeed everyone within the groups felt comfortable enough to join in which made for a great dynamic. I confess, approaching 10.30pm on the Friday evening, one of the group started to ponder the difference between metaphor and symbolism, and my thoughts drifted more towards the Students’ Union bar which was going strong in the next building! One revelation. We were asked to imagine walking into a room and to describe it. BUT we were to told draw the room first. Huh? So I went ahead and drew a picture. But then my pen fairly flew over the paper in response to the image. A simple example of unlocking creativity through the use of imagery, something I mean to practice. On the Saturday I was listed to attend five talks, again on various subjects. I had no idea why I chose those particular topics. Which was just as well as, twice in a row, I plonked myself down in the wrong room. No matter, I made loads of notes on subjects that were all of relevance. Inspirational talks from Julian Fellowes (actor and creator of the TV period drama Downton Abbey) and Lt. Ian Thornton who fought in Afghanistan and who has compiled the diaries of fellow soldiers including that of his brother John who was killed there. Thornton’s proud parents were there in the packed audience. The reason why many people attend the conference. You get 15-minute slots with agents, publishers, commissioning editors etc. of your choice. If you are fortunate you might get a deal for your work. At the very least you’ll get feedback. I got some excellent advice and no little encouragement from my four sessions. But at least one over-hopeful delegate from my initial group was crushed by what she was told and never reappeared. Indeed they have Agony Aunts on standby with tea and sympathy. I am not anti-social but I’m certainly anti-sociable. I steer clear of networking, parties, interaction with strangers etc. But here it was different – everybody was up for a chat, a coffee, an impromptu discussion. In most situations you’d scare a lone woman by sitting down beside her on a step with a coffee. At Winchester everyone sat down beside everyone else and it was a nice atmosphere. The city itself deserves a blog of its own (coming up) but already I’m looking forward to next year and the 34th Winchester Writers’ Conference. I thoroughly recommend it to fellow bloggers wherever you may be. Sounds fun! I especially like that you forgot a pen to a writers conference. I do that in life…constantly. Writer without a pen, at your service. Well, I so rarely write with a pen. And at business seminars all that stuff is provided. I’ll remember next year. I think you should sign up for 2014 Britt, you’d love Winchester. Thanks for sharing your experience at the conference with us, Roy. It’s sounds like a great experience for any writer. I hope to attend a writer’s conference sometime in the near future. Thank you Jill. Yes I got great value out of it. I found it really unlocked something, being among other writers and being guided by experienced lecturers. I’d recommend attending such a conference to anyone – well worth the investment. It sounds like a wonderful way to spend a weekend. Writing workshops and speaking to others who understand why you write is empowering. 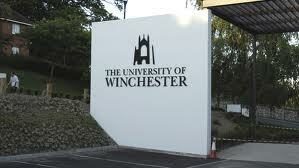 As Winchester isn’t too far away from me, I might sneak along next year – if only for a day – I’m sure I’d learn loads. You absolutely must Laura, I reckon I got my money’s worth in the first morning. It’s a great experience, even taking into account I’m a wide-eyed innocent abroad among such company. I hope you got some publicity for your book “Tess at Portelet Manor” Yes, I know you`ve written other ones too, which I must read but the memory of Tess is lingering deliciously and I really hope more people get to know her. How wonderful. It must be an incredible energy in a place of like minds, people who understand your desire to write and support it. I admire your dedication. I aspire, but with the commitments of the day I am to drained to write at night. I try to inspire myself by small blog writing and reading what others are doing. Thank you Lisa. Yes, there was a great collective energy at Winchester – everybody with their own project, hopes and aspirations. I hope some of it carries through to my future work. As for your writing there’s little point in forcing it I don’t think. I wonder if a writing group would inspire you in a similar sort of way? Sounds like a terrific experience. Thanks for sharing these lessons-learned, Roy, as well as the feeling of belonging that obviously pervaded the Writers’ Conference. Did you hear anything that changed your mind about self-publishing vs trying for publishers? Thank you Jane. I think the general feeling was that getting published is getting harder, but it’s certainly possible. There were many reps from the writing industry there over the weekend all looking for new talent. And the Conference organisers claim a lot of success in this arena over the years. For example, one well-known publisher I sat down with was grumpy because he only looks at full manuscripts. But he made encouraging noises and I’m now determined to have a polished full draft for him in 12 months time. I would love to eavesdrop the Agony Aunts section! It is a nice touch though, you have to admit. Comfy sofas, tea, a shoulder to cry on. Maybe I’d check whether or not they were cuties before I started crying on their shoulders though. This sounds really fun and educational, Roy. I’ve never been to a writers’ conference before, and have been contemplating attending the one in my area in October. You offer a thorough description of the what happens at these things. I thought I’d try it once Janna but now I think I’m hooked. You really ought to do likewise, if only for a day. Of course the advantage of doing 2-3 days is the opportunity for a bit of extra socialising over a beer or dinner. Thank you Lisa, you’re very kind. It was Dianne, I’m very pleased I went. I wasn’t the only one impressed by the power of that simple exercise, bringing out a bit of Right Brain creativity.